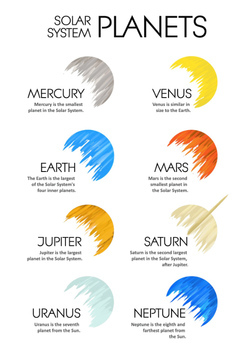 I have painted each planet separately. 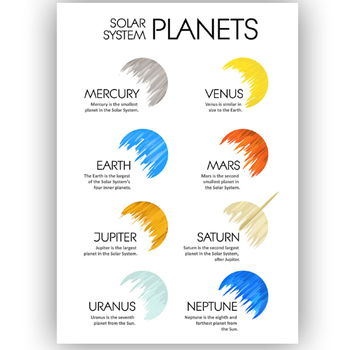 Check also SOLAR SYSTEM Planets Bookmarks designed in similar style. Both poster and bookmarks nicely work together!